View More In Double Boilers. Corning Visions cookware is made of a patented see-through glass-ceramic material that handles temperature extremes. Because of this advanced material, Visions cookware is versatile and convenient. For easy, healthy cooking, Visions cookware does it all. 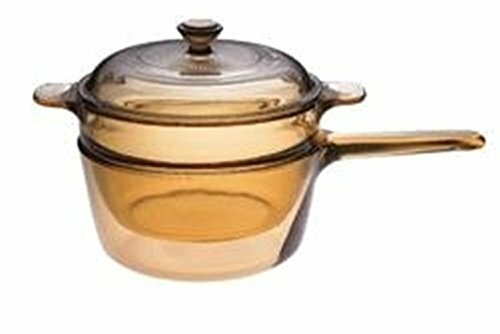 Décor Copper & Brass Fondue Set, 2.75 qt.